On the last 28th came to Balasar a group of Irish pilgrims; signed the guestbook in the Alexandrina’s home about two dozen of them. With regard to the DVD of Mary's Dowry Productions, it is good to remember that the Italian publisher Mimep-docete prepared some years ago a DVD on the Blessed Alexandrina, under the guidance of Maria Rita Scrimieri, which can be edited at any time; it is however a very different work from what is being made in England. We are also told that the Portuguese Salesians have a plan for one. Since yesterday there is a link to the Video “The Fourth Seer of Fatima – Blessed Alexandrina…” in the Bld Alexandrina’s website. Is finally on line, in Portuguese, the book by Fr Mariano Pinho Uma Vítima da Eucarista (A Victim-soul of the Eucharist). It is only to open here. The video will have a version told in Portuguese by a brother of the Heralds of the Gospel, named Miguel. The new parish priest of Balasar came last Sunday. It is a serene and determined man of whom much is expected. Began to be translated into Portuguese the book written by Eugenie and Chiaffredo Signorile Figlia del Dolore Madre di Amore. It is a book of 768 pages and of difficult translation. It is already in next September 19 that comes for Balasar the new parish priest, Fr Manuel Casado Neiva. 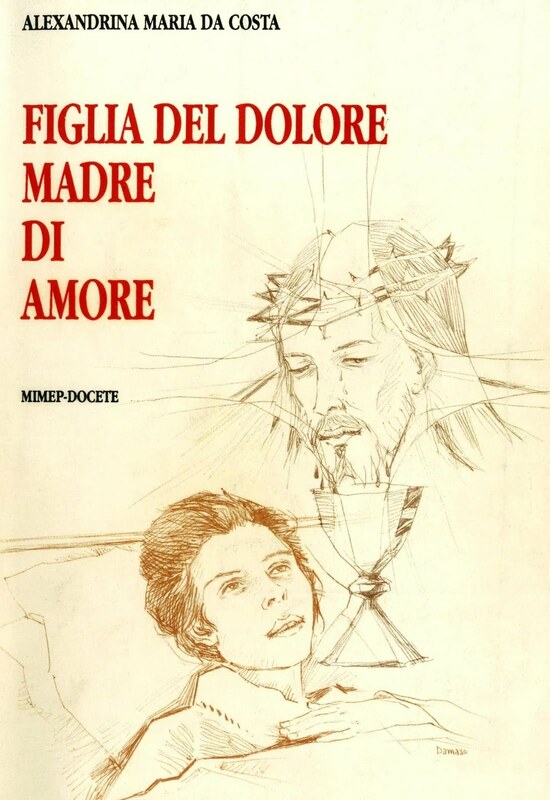 Eugenia Signorile has already finished preparing the second edition of Figlia del Dolore Madre di Amore. It is hoped that this great book will have Portuguese translation.